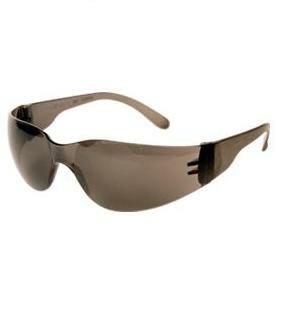 Radians Safety Glasses Mirage Model MR0120ID have a sleek design that allows for a perfect fit for both men and women. They feature optically correct and distortion free lenses and weight less than 1 ounce. The economical dual wraparound 9.75 base lens provides near perfect orbital seal. SMOKE LENSES. Meets ANSI Z87.1 standards.